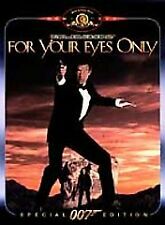 For Your Eyes Only (DVD, 1999, Special Edition) Roger Moore, Carole Bouquet. DVD IS USED, PLAYS VERY GOOD. COMPLETE DVD, CASE & COVER ART~. DVD Perfect, new, never used! 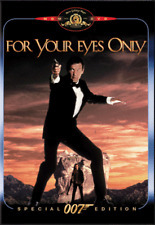 All DVDs are Region (1) one unless otherwise stated. All are perfect unless states above. I am putting like new because I do not wish any dispute what so ever. These were never played for sure.